This workshop teaches you the secrets of creating beautiful antique mirrors used on furniture, on mirror frames, doors and often applied on walls and decorative objects. With the introduction of the Amy Howard at Home Products, you can now complete these techniques yourself and save thousands of dollars. We will create 2 finishes on 12X12 inch mirrors. 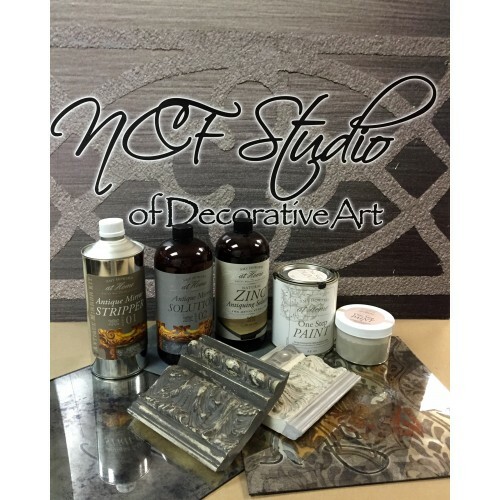 You will take home an eglomise finish and an antique finish. We will also create a Parisian Zinc Metal sample. 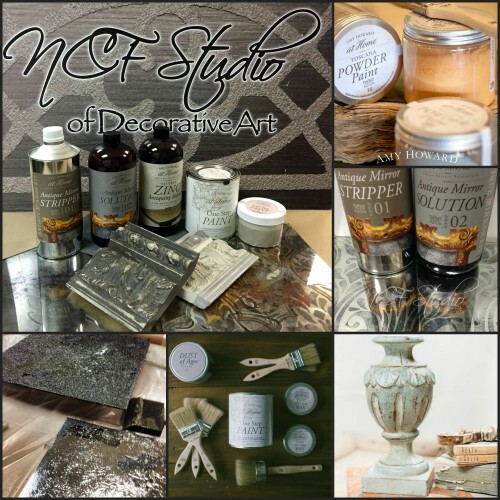 The Zinc Antiquing Solution enables you to give metal the look of aged Zinc. Lastly we will also create two wood sample finishes utilizing One Step Paint and Toscana Paint.